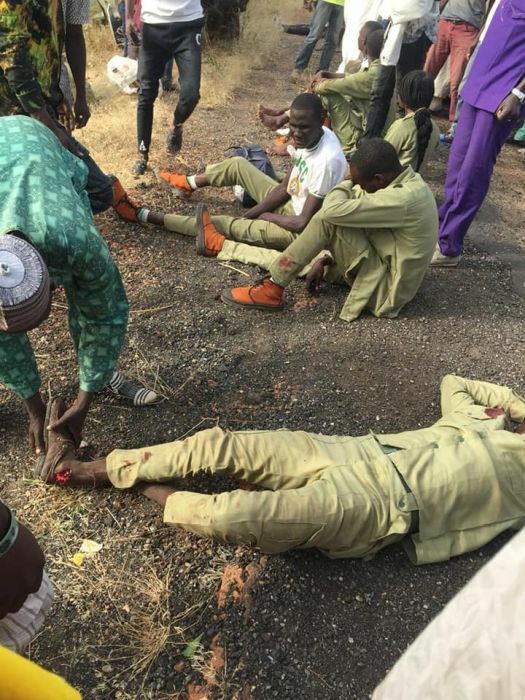 Some members of the National Youth Service Corps (NYSC), were involved in a car accident while travelling from their camp. 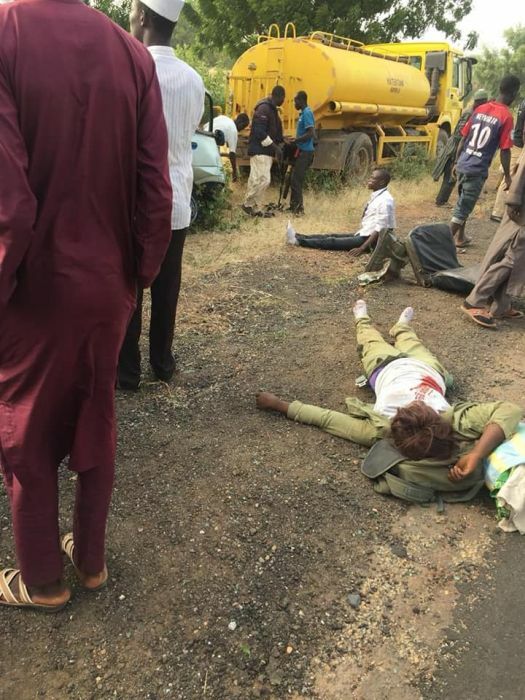 According to Tonia Michael Ndukauba, a fellow corper posted to Katsina state (now redeployed to Lagos), it was gathered that the bus filled with serving NYSC members was hit by a truck which damaged the vehicle and injured the passengers. It was reported that no life was lost in the accident as the injured victims were rushed to the hospital. May God heal these Corp members in Jesus name Amen.. 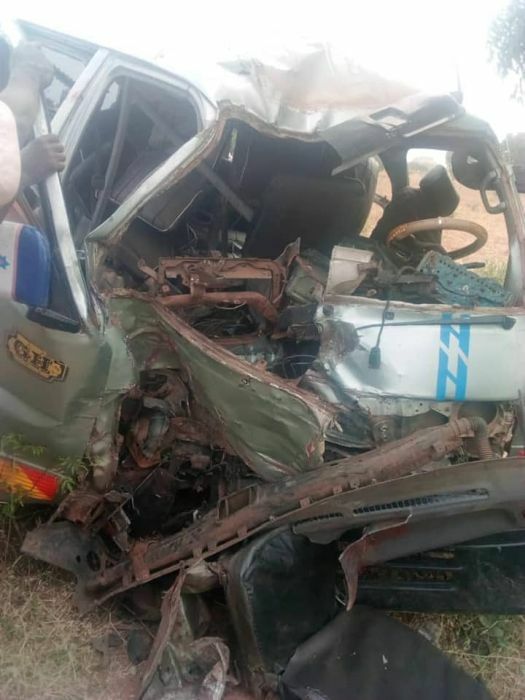 I was rushing to leave yesterday on time with this bus but God now sent a friend of mine, he delayed me for like 30mins, I was all angry at him.. just for me to hear that the bus got hit by a truck.. no life lost but injuries..